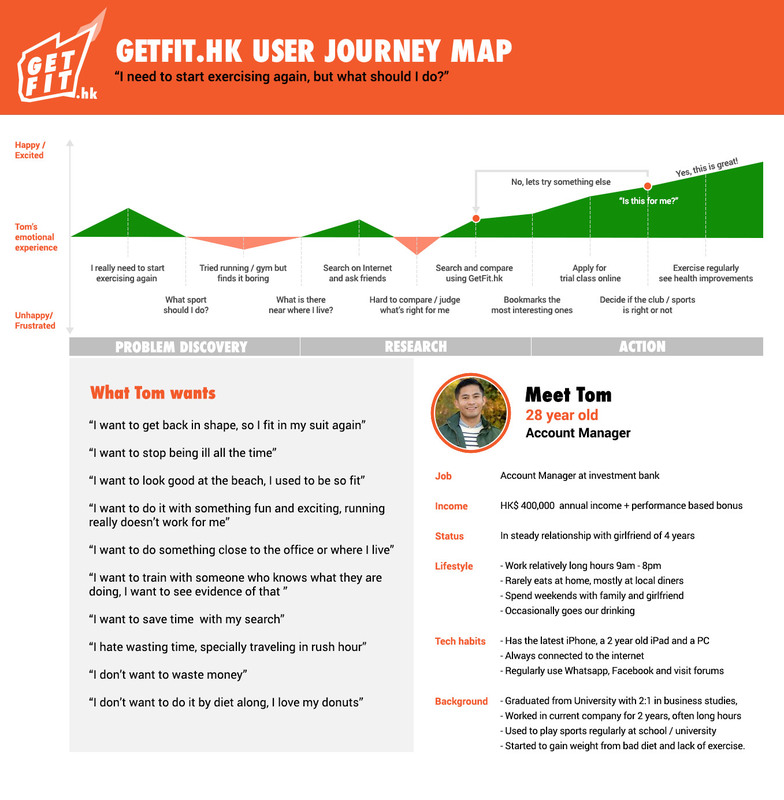 GetFit.hk’s mission is to help promote healthy living via regular exercise in Hong Kong. 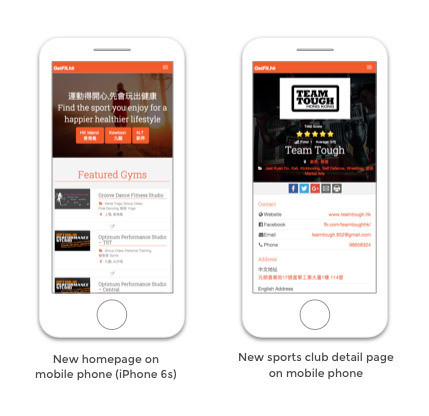 The first phase is test market demand for a comprehensive directory of all sport facility, clubs and organisation available in Hong Kong. We want to help individuals see the wide variety of sport activity available and help them find the one that meet their personal needs because we believe the best way to encourage regular exercise is to make sure it is something we enjoy! 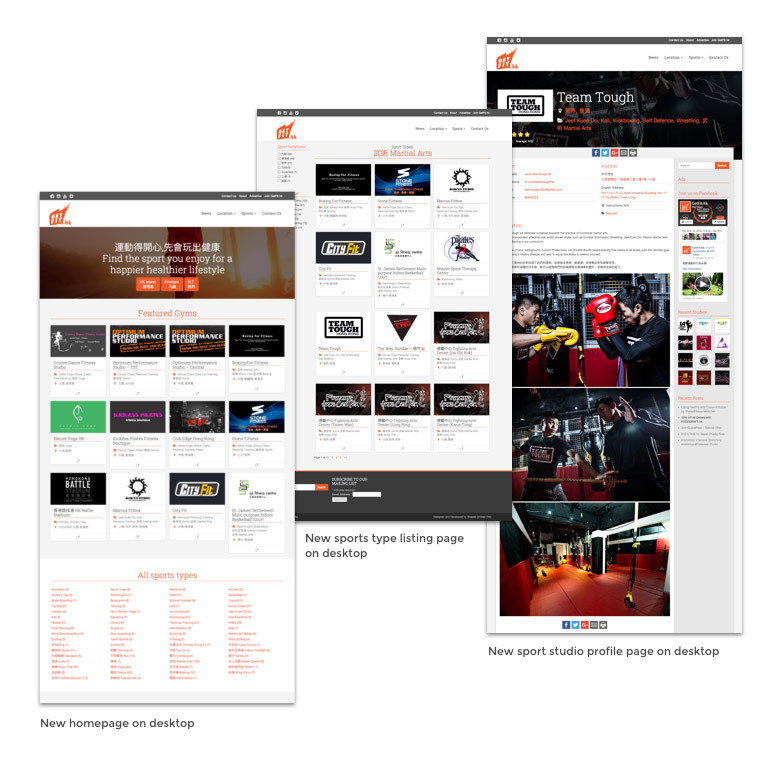 After the success of the original MVP to test market demand, GetFit.hk was in need for an update to improve the userability, aesthetics and remove certain technical limitations. To test our the original MVP, analytics was tracked from the very beginning of GetFit.hk, using this data we were able to better understand the strengths and weaknesses of the current site via quantitative user behavior. Looking at the data gathered as well as general technology trend, it is obvious mobile devices will continue to play a major role for consumer websites. Although the original website was created to be responsive and usable on mobiles, there were plenty of space for improvement. With version two, the focus was to design and code the GetFit.hk to be mobile first, whilst also leaving space for enhancements. Most obvious improvement to GetFit.hk is page loading time has now drastically reduced. Within the first two month of the new design release, website traffic grew by 28%, active (14 days) users increased 12% and bounce rate decreased by 20%.